DeLores "Dee" Kment, 86, of Schuyler, died Monday, December 4, 2017, at CHI St. Elizabeth's Hospital in Lincoln. Dee was born March 27, 1931, in Martin, South Dakota to Ike and Othelia "Tilly" (Veseley) DeKay. She graduated from High School in Martin. She moved to Columbus in 1962 and worked for Dale Electronics for over 28 years. On June 23, 1969, she married Marion "Mike" Kment and has lived in Schuyler until the time of her death. Dee loved spending time with her grandchildren and baking for many friends. She fed the squirrels and birds, loving all animals. Dee would often babysit for her "grand-dog" Daisy and loved being with her many nieces and nephews. She also was a regular at garage sales and auctions. 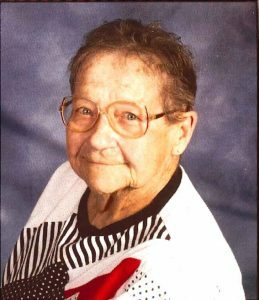 Dee is survived by her husband, Mike, of Schuyler, one son, David (Debby) Brown of Schuyler, two grandchildren; Michael (Jenny) Brown of Columbus and Jennifer Brown (Ryan Wilch) of Lincoln, six great-grandchildren; Taylor Coke, Logan and Scout Brown, John K. Boyer of Columbus, Gunner and Cypress Brunken and many nieces and nephews. She was preceded in death by her parents, two sons; Timothy and Roger Brown, two brothers; Wendell and Marvin DeKay, and two grand-daughters; Mary and Katie Brown.